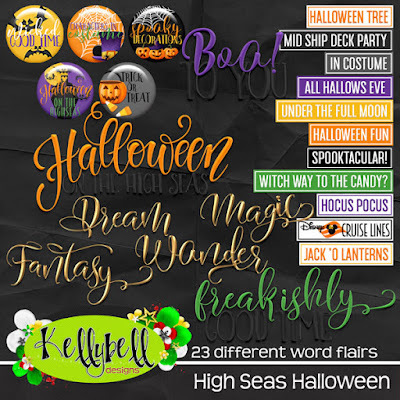 How would you like to sail the seas on a bewitching Halloween Cruise? Kelly's newest collection has got you covered. 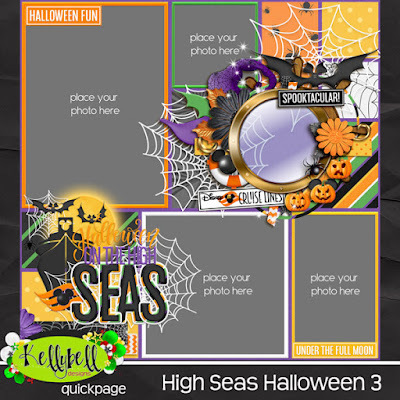 High Seas Halloween is perfect for layouts of your cruising fun. 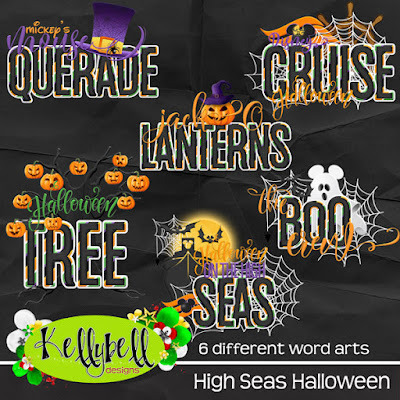 Haven't been on a Halloween cruise? No problem. 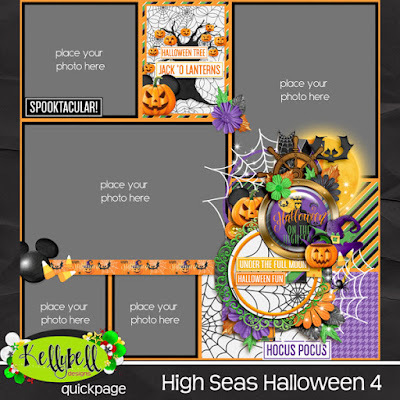 Document your Halloween fun at the Disney parks or at home with all the fun ghosts and goblins included in the kit. Be sure to also pick up the coordinating Page Starters, Journal Cards, Word Art, Word Flair and Quick Pages. 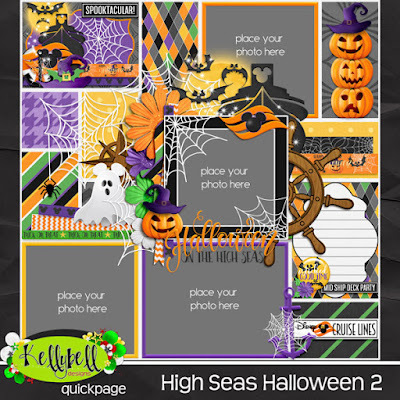 This kit includes 15 spooky papers and a full layered and outlined alpha. 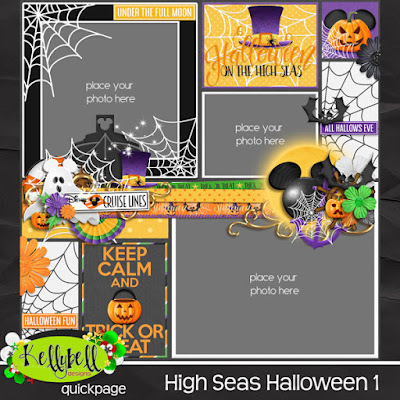 Also inside are over 60 unique elements including anchors, bats, buntings, candy corn, Disney Cruise Line logos, ghost Mickey, Halloween cruise ship, tree, hat, jack-o-lanterns, life preserver, magic dust, Mickey head, moon, star, porthole, ropes, spider, spider webs, trick or treat bucket, witch hat, and much more! Now how about some beautiful freebies to coordinate with this new kit? You can find them on Debbie H.'s blog and Roxana's blog. Have a great weekend and happy scrapping!